Juvenile justice reform, sentence reductions or expungement of convictions for marijuana users and expansion of programs that focus on mentally ill defendants all are highlights of new laws in California. The judicial branch of California reports that the passage of recreational marijuana legalization in 2016 ushered in reforms — a legislative shift noted among new laws that went into effect on Jan. 1. “AB 1793 provides a new process to identify an estimated 220,000 cannabis cases that qualify for dismissal or reduced sentences. If unchallenged by prosecutors, courts will automatically modify the sentences of those affected,” the state judicial website notes. 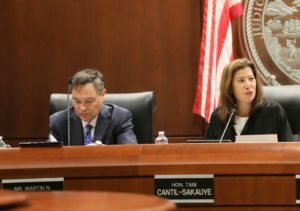 “California offers more than 400 specialty courts that treat the underlying causes of crime, and a new law (AB 1810) helps expand such programs for mentally ill defendants,” the article continues. “The state will funnel $100 million to county programs that divert some mentally ill defendants from jails into treatment (defendants charged with particularly serious crimes are excluded). A change to California’s felony murder rule, SB 1437 stipulates that “only accomplices who act with ‘reckless indifference’ to human life, aid in the murder or conspire to commit murder can now be held responsible for first-degree murder,” the state reports. Another new law, SB 1208, “improves emergency procedures available to courts in a disaster,” the state notes. Modernization of the warrant process and the launch of pilot programs at eight courts to take traffic court online are among the other highlights.